Just days before her eighteenth birthday, Lila has resolved to end her life. The horror of becoming an adult, and leaving her childhood behind, has broken her heart. 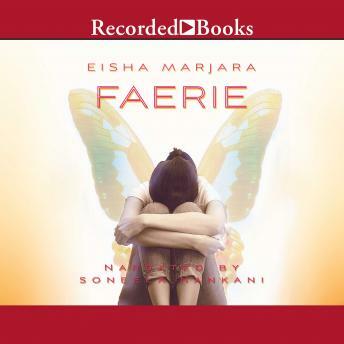 Faerie, a novel for young people, is the fierce yet gently unfolding story of a hyper- imaginative girl who is on a collision course to womanhood. She likens herself to a half-human fairy creature who does not belong in the earthly world; but in the cold light of day she is a psychiatric patient at a hospital, where she is being treated for anorexia - her sickness driven by the irrational need to undo nature and thwart the passage of time. Lila tells the story of how she ended up on the Four East wing: we flash back to her childhood in the eighties, growing up in a small town as the overweight brown kid of Punjabi immigrant parents: her father, a literary scholar whom she idolizes, and her mother, a housewife - "the most female of all females who found comfort in cooking." Faerie weaves these passages with Lila's downward spiral into life-threatening illness, her budding sexuality, and her complicated recovery in hospital that comes with a price. Written with candor and heartbreaking lyricism, Faerie is a plaintive yet ultimately life-affirming love letter to the bold, flawed splendor that is childhood. Eisha Marjara has written and directed several award-winning films, including the critically acclaimed NFB docudrama Desperately Seeking Helen. Her latest, House for Sale, has won numerous film festival awards. Faerie is her first novel. She lives in Montreal, Quebec.